What does the planned sale of Opel, Vauxhall’s parent company, to France’s PSA Group (which owns Peugeot and Citroen) mean for UK car buyers? One of the most immediately likely outcomes is that we’ll see more cars like this, the new Vauxhall Crossland X. The Crossland X uses the drivetrain from the Peugeot 2008 and the platform for the forthcoming new Citroen C3 Picasso. Size-wise, the Crossland X fits just below the Vauxhall Mokka X. At just 4.21m long, it’s fairly compact and is a notable 16cm shorter than the current Astra. 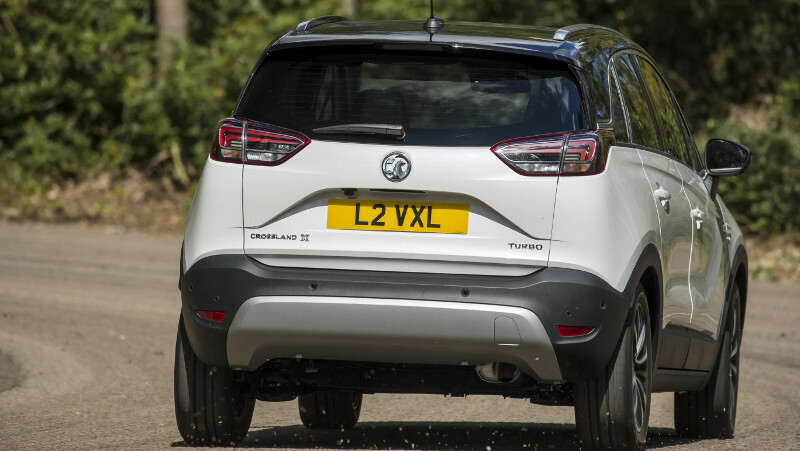 Vauxhall says the Crossland X is designed to compete with cars such as the Peugeot 2008 and the Renault Captur, whereas the Mokka X is targeting the Nissan Juke and Skoda Yeti (soon to be discontinued). The Crossland X will offer a choice of petrol and diesel powertrains with outputs from 81PS to 130PS. While the diesels might make sense for high mileage drivers, I suspect that diesel demonisation and the more widespread availability of modern petrol engines will swing the pendulum away from oil burners. As such, the 1.2 Turbo engine, offering 110PS or 130PS output is likely to be the pick of the bunch and a popular choice. This appears to be the same engine that’s used in Peugeot 2008, where it’s branded as the 1.2 Puretech. This isn’t an off-roading SUV. There’s no option to choose four-wheel drive or to specify a limited slip differential like Peugeot’s Grip Control. 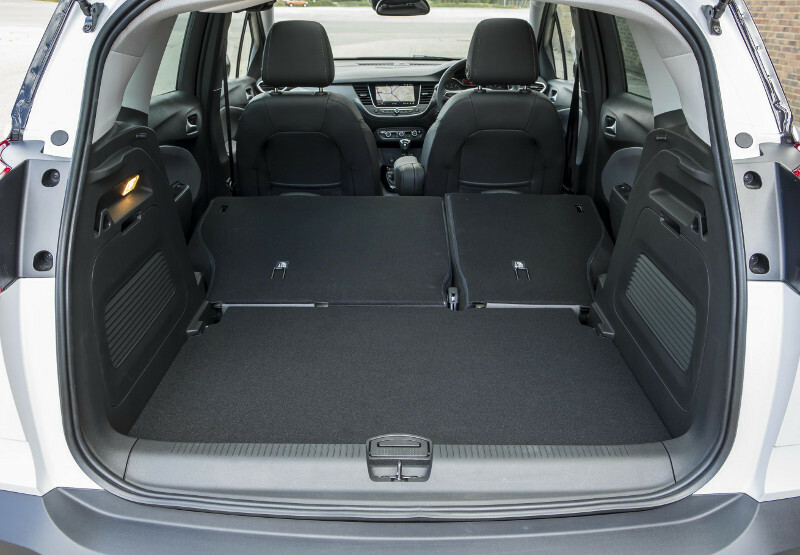 Instead, the emphasis is on comfort and practicality — the main reasons why most people buy SUVs. Driver assist options include a 180-degree panoramic rear-view camera, advanced park assist, forward collision alert with pedestrian detection, lane departure warning, traffic sign recognition and blind-spot alert. All models come with at least a 7″ touchscreen in the central console. Vauxhall’s IntelliLink infotainment system and OnStar are available, depending on version and option choices, as are Apple CarPlay and Android Auto. As you’d expect, the rear seats fold down in a 60/40 configuration, although they don’t lie completely flat. 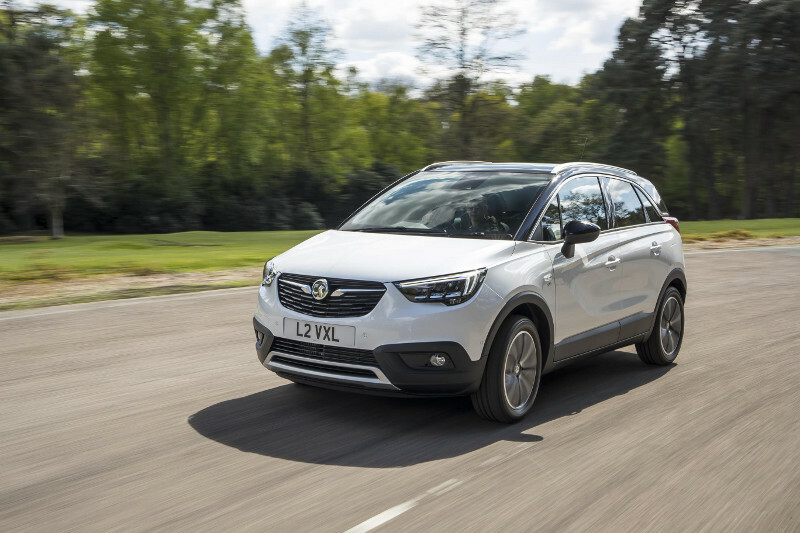 Our view: The Crossland X seems a competent entry into the smaller SUV segment which may find favour with buyers who are fond of this ‘British’ brand. The Crossland X is on sale now and priced from £16,555 on-the-road.